S econd Annual Trivia Night April 28! 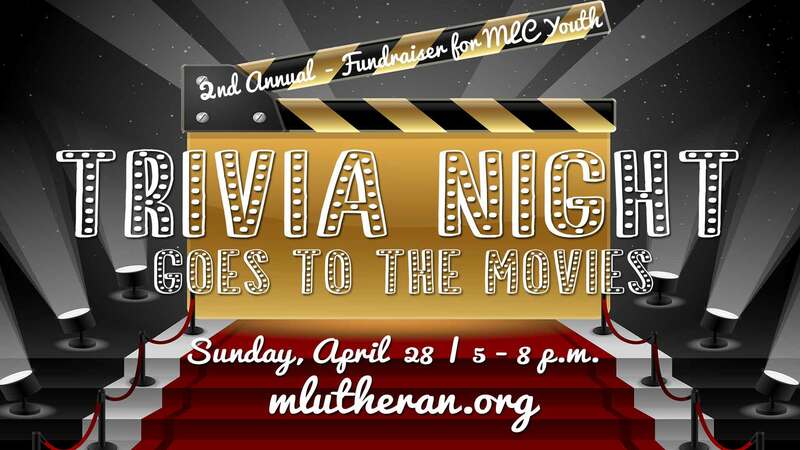 If you missed out on the trivia night hosted by the youth of Messiah last year, have no fear! Join us April 28, from 5:00 - 8:30 for a night of trivia and fellowship. This year's Trivia Night theme will be "A Night at the Movies" with special categories relating to the theme, as well as a chance to compete for the best-decorated table, best food, and most spirited team. Teams of eight can purchase a table for $80. If you don't have a team, you can buy a single ticket for $10, and we will find you a team! Teams bring food for their tables and are encouraged to decorate their tables (or even dress up if you are feeling really spirited). The Youth will provide snacks and sodas for the participants, and all funds raised will support our Youth mission trip to Memphis this summer! Contact youth@mlutheran.org to sign up!